events that led him to lose his business. say. ", says Mr Del Valle. 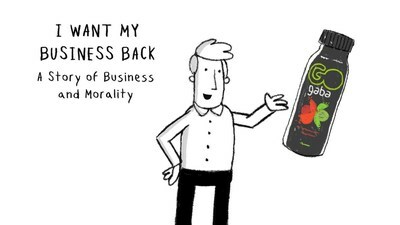 on social media and on http://www.iwantmybusinessback.com. organized by the Mexican French Council for Entrepreneurship and Innovation. The functional soft drink was sold in Mexico and exported to The Netherlands. It was sampled successfully in France, Germany, Sweden, Norway, and the UK. businesses and bounce back from any potential unsuccessful ventures.